Bitcoin Info Australia - What Is Bitcoin? 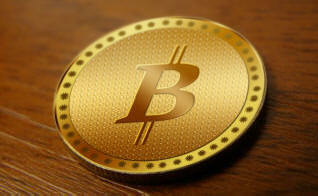 Bitcoin is a form of digital currency known as cryptocurrency. It is a decentralised currency that is not controlled by any one person group or corporation. Only about 1% of the population has become involved with Bitcoin and Cryptocurrencies so far. This is expected to rise to about 3% in 2018, and then grow exponentially from then on. Bitcoin was First Developed in 2009. And Especially in The Last 12 Months. Bitcoin Ethereum Litecoin & More. Get A Coinspot account here. A guide for the newcomer to Cryptocurrencies who want to learn about Bitcoin and open blockchains. Implications for the world economy, and the potential benefits to poorer populations with access to cheap money transfers. untangling of the cryptcurrency scene. Clif responds to many questions from a Bitcoin sceptic.